Four simple words are about to make you an expert at finding and eliminating odors. Of course you won’t be a real expert. Real odor experts have degrees in one or more sciences and have job titles like “industrial hygienist” and “environmental engineer”. Nevertheless, learn and understand these four words and you’ll be more of an expert than many of the repairmen who claim to be. They are moisture, heat, path and pressure. While there are many things that cause odors, the two primary causes are moisture and heat. To be totally accurate, moisture and heat are the primary activators of odors rather than the causes. However, when it comes to troubleshooting an odor, that distinction makes no difference. Whether an odor is good or bad, it has probably been given life by moisture and/or heat. Once awakened, the odor needs a path to your nose and pressure to get it there before it can awaken you. Ever come home to the smell of dinner? Dinner is moist and hot. It has a path to your nose, most likely the open air. And it has pressure pushing it through the air, most likely the pressure of diffusion. If your air conditioner or heater smells, it has the same four things in play. The air conditioner gets moist. The heater gets hot. 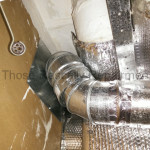 If the moisture or heat activates an odor, the ducts are the odor’s path. And the odor has the pressure of the blower to deliver it through the ducts and to your nose. For the good folks at Majorly Mechanical, the answer seems to be “no”. 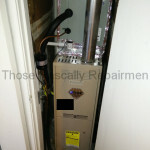 They installed the furnace pictured below a number of years ago. 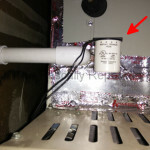 The smell is not present when the air conditioner runs, so the air conditioner’s moisture is not the activator. The smell is strong when the furnace runs, so the furnace’s heat is the activator. The most intense heat is in the furnace. 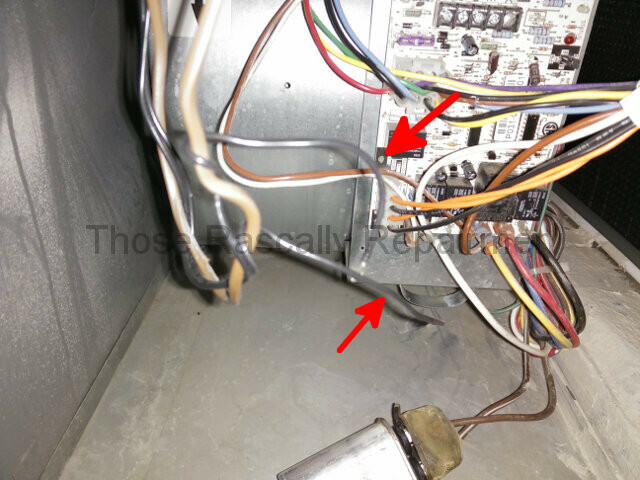 Less intense heat is in the ducts. The smell distributes throughout the house. Therefore the path includes all the ducts. 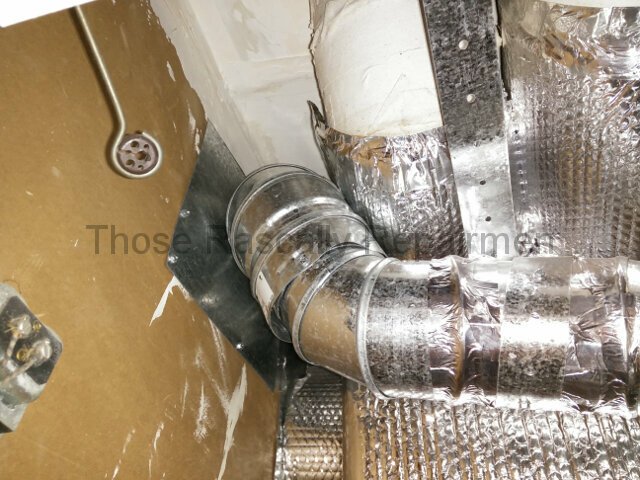 All the ducts lead back to the supply plenum and furnace, so the smell must be coming from one of those two places. And, quite obviously, the furnace’s blower is the source of the pressure. 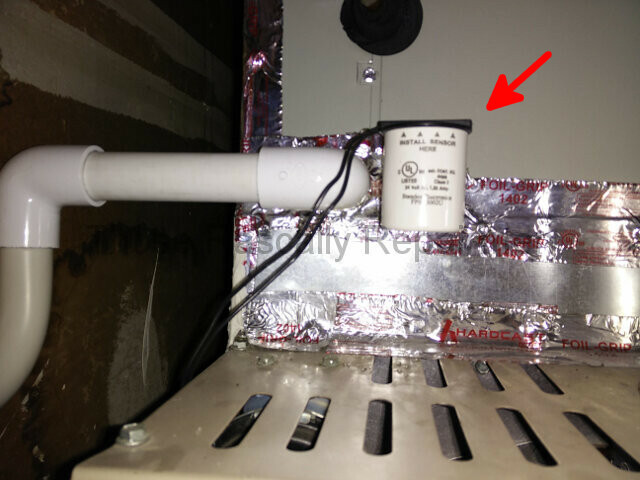 Majorly’s repairman looked at the supply plenum. 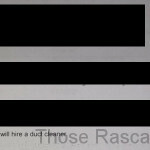 Then, for some unfathomable reason, he stopped there and recommended duct cleaning – a sham service if there ever was one. That’s when I was called for a second opinion. 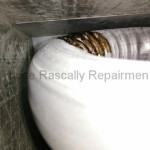 I finished the diagnosis by looking inside the furnace. I saw what you see below. A piece of plastic got sucked up into the furnace and landed on one of the hot tubes. It’s in the process of burning off. There was no practical way to clean it off, so I advised the homeowner to finish burning the plastic off. Within a relatively short period of time the smell was gone. This folly is nothing new. Most heating and air conditioning repairmen represent themselves as air quality experts. Yet, in reality, most have never had any real training in the subject. In fact, you have now had more real training than many of them. It’s a rude awakening to say the least. Click here for more folly. 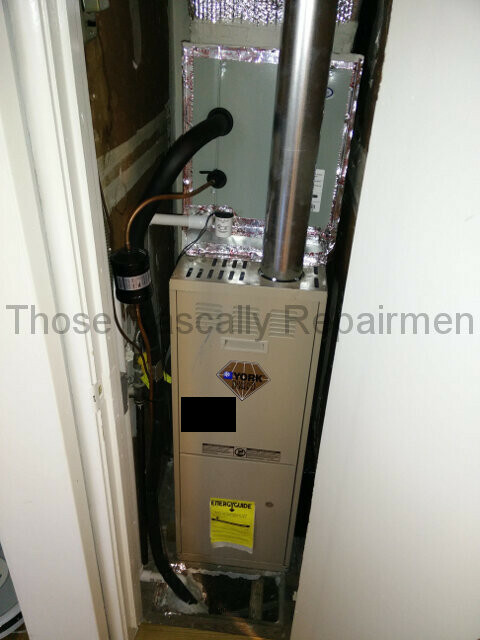 As mentioned above, Majorly Mechanical installed this furnace some years ago. They also installed the cooling coil that’s on top of it. 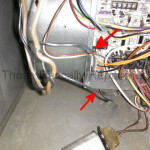 It appears that the cooling coil’s overflow safety was never hooked up. It has two black wires coming off of it. Those two wires are supposed to be connected to the circuit board. Instead they were dangling loosely inside the furnace. 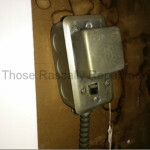 They also reused an old fused switch rather than replacing it. 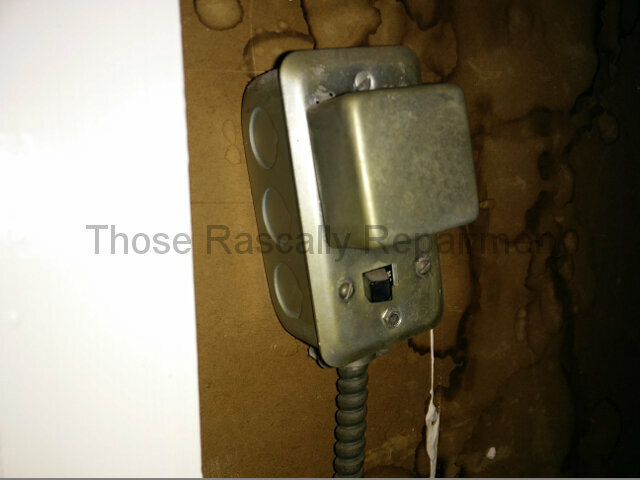 Fused switches do wear out and should be replaced whenever a new furnace is installed. 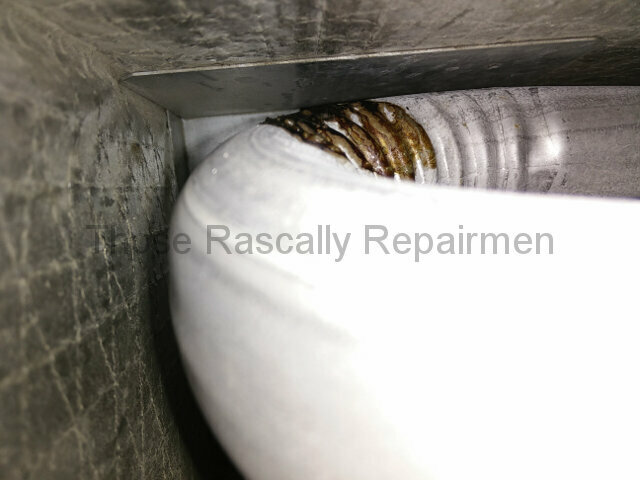 And finally, a bit of irony to end this round of furnace follies: The same folks who couldn’t find a piece of burning plastic in the furnace installed plastic in direct contact with the exhaust pipe above the furnace. The textured silver insulation is just fancy bubble wrap. The sheet metal pipe it’s touching gets very hot.